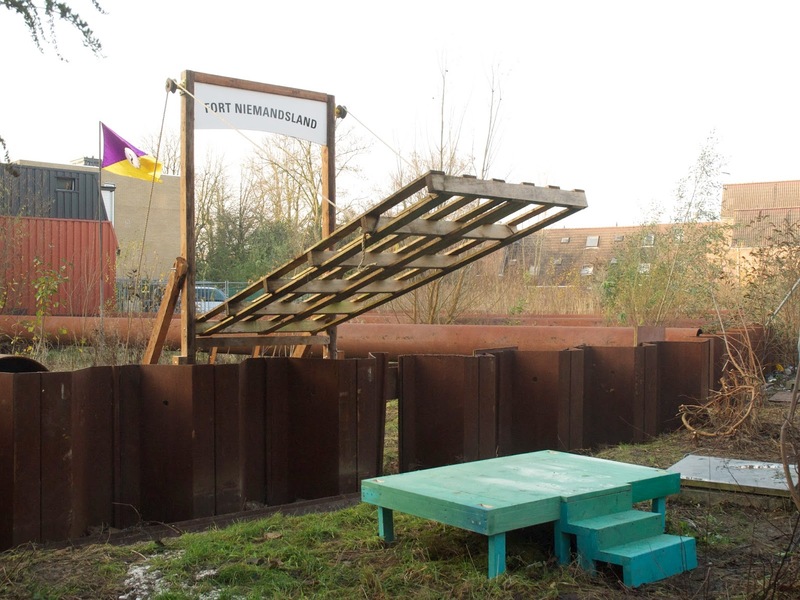 Intervention 1: 'Fort Niemandsland' (Fort No Man's Land). Illegal intervention, wood, found / recycled materials. Collaboration with SIGN Gallery & high school pupils from the Praedinius Gymnasium. 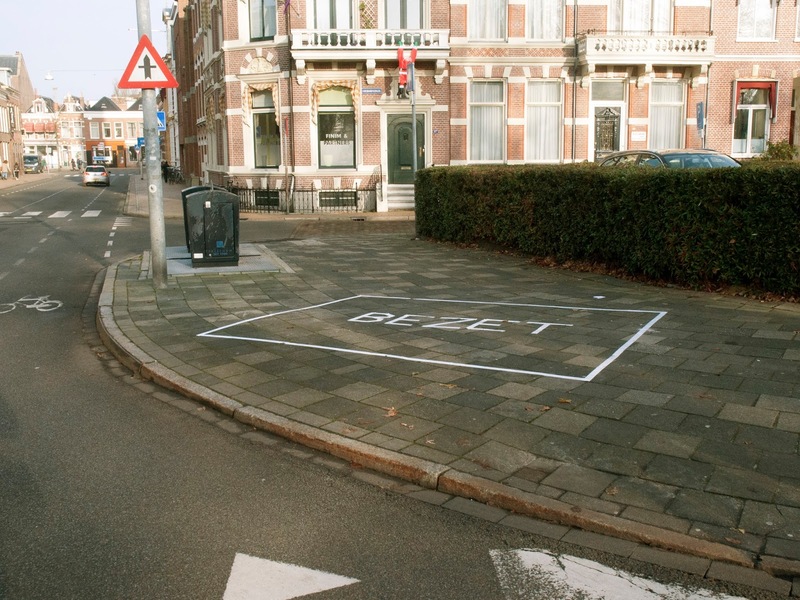 Location: vacant lot Oostersingel / Nieuwe weg Groningen (2013). 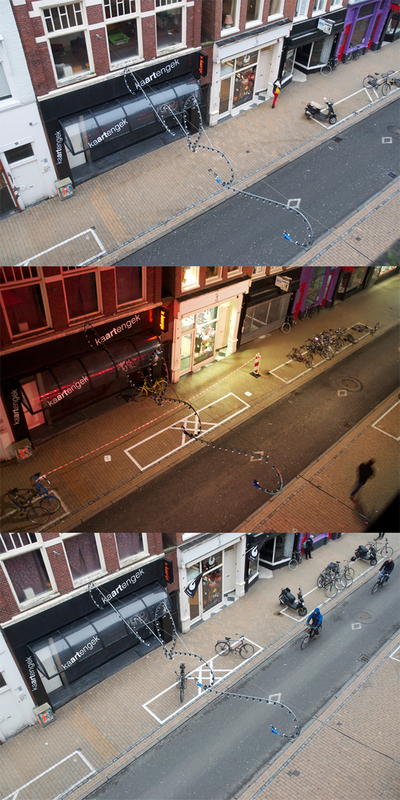 Intervention 3: 'Fietsenvak' (bicycle parking), illegal intervention, 6 x 1,5 m. Oosterstraat Groningen (2013).